PLANTATION, Fla. - We know you can finance a car and a house but a puppy? That's right. No joke. It's a thing. But Local 10 News found many don't read the fine print, and you could wind up paying double without even realizing it. Some are finding they don't even own their furry friends. They are actually leasing them. Jesus Valdelamar fell in love with the doggie in the window at a Plantation pet store in August. "I fell in love with her when I saw her," Valdelamar said. But instead of the dog house, Valdelamar is now in the poor house. He did something he never though he could do: Valdelamar financed a puppy. He said the golden retriever he bought cost $5,000, and he told the salesperson he couldn't afford the puppy. "I said, ‘I don't have the money to give a down payment.’ They said, ‘Don't worry. Let me check your credit, and you will be good to go.’" Valdelamar said. He said that, less than an hour later he walked out the door with his puppy. "They came back and said I was approved. It took 10 minutes. They said, 'You are good to go. She's yours,'" he said. 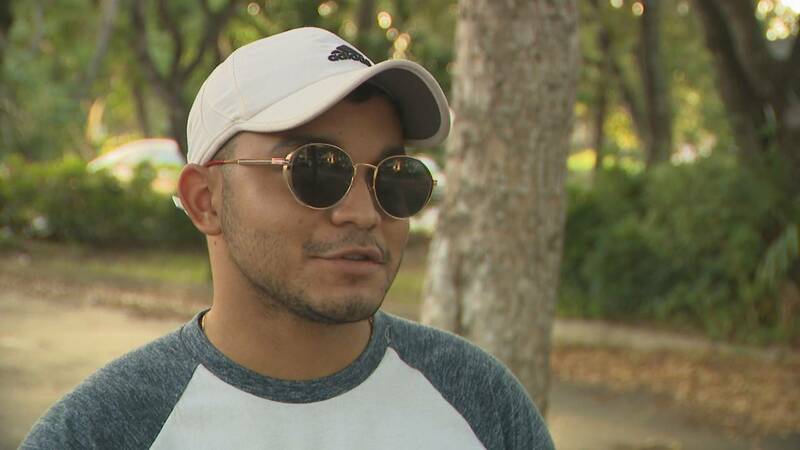 Jesus Valdelamar said he bought a puppy with a high-interest loan from a local pet store. Valdelamar said he didn't even need a down payment. Days later, he realized college classes, a job and a puppy don't mix. But he had already stepped in it. The pet store wouldn't take the golden retriever back, and the bank didn't want to hear any excuses. "I called the bank. I told them everything. They didn't care," he said. Valdelamar surrendered the puppy to the Humane Society of Broward County. "I have no dog, but I have a loan." he said. It's not just any loan. Valdelamar is paying $270 a month for four years. That’s close to $13,000 for the high-interest loan. He admits he didn't read the fine print. "I was focused on the puppy. I just wanted to take her home,” Valdelamar said. “They take advantage of you because they know you want the puppy. They make it so easy." In fact, some people don't realize they are actually not financing at all, but leasing their furry friend, like a car. You don't actually own your pet during the length of the lease. At the end many are surprised there is a balloon payment if they want to keep their pet. The Humane Society of Broward County recommends potential pet owers check local shelters if they are looking for a new furry friend. The Federal Trade Commission and the American Society for the Prevention of Cruelty to Animals have put out warnings. 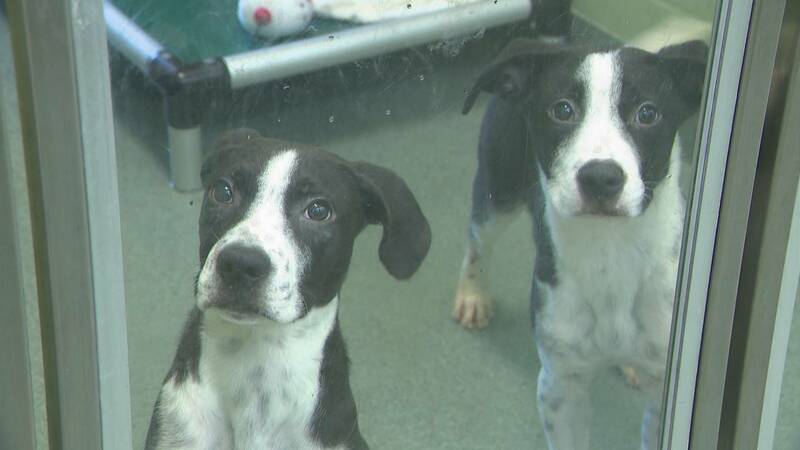 Local 10 News sent hidden cameras into several South Florida pet stores. Everyone offered us financing. When asked about the interest rates, everyone admitted the they were high. One salesperson said the interest rate could exceed 100 percent. No one said anything about leasing even though lenders they use clearly state it on their websites. A golden doodle that we saw at one store cost $5,300. If we had financed it for three years at 100 percent interest, our furry friend would have cost us $16,844.09 in the end. "I'm sort of speechless. Actually, there are so many animals in shelters waiting for second chances and homes." said Cherie Wachter, of the Humane Society of Broward County. Wachter said, if you have your heart set on a certain breed, head to websites such as Petfinder.com. "You can put the breed you’re looking for, your zip code and it will search all the animals that match what you’re looking for," she said. Valdelamar said he learned a hard lesson. "People shouldn't buy dogs. They should adopt," Valdelamar said. Several states, including Nevada and California, have banned pet leasing and several other states have proposed legislation. Florida is not one of them. Financial experts said a transaction such as this can tarnish your credit.